Clear assembly instructions included. Warranty information is located on the products manual. Please feel free to contact Huffy customer service for further information at 1 (800) 872-2453 or email us at service@huffy.com. Very easy to assemble ( 15 min approx. ), instructions are easy to follow. Both car doors open, charger port is just below the seat and easily accessible. Has reverse and forward. Very very good looking and functional little car for a little boy. 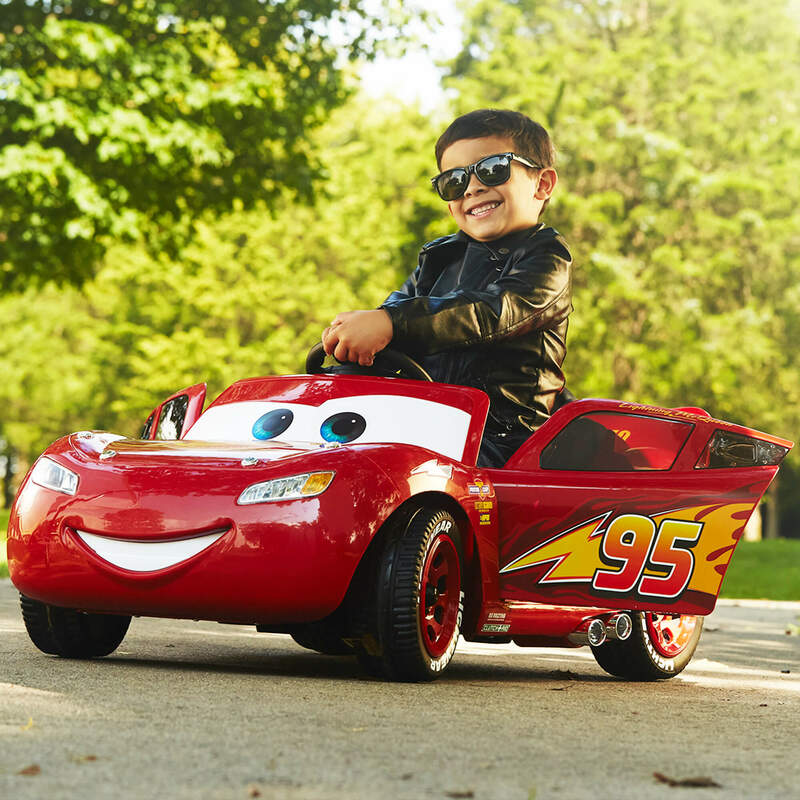 Huffy battery-powered ride-on's become car racing fun with Disney Pixar Cars Lightning McQueen. Lights and sounds let the imagination turn sidewalks into racetracks. Comfortable and easy to drive in forward and reverse, the Huffy Lightning McQueen ride on is a great choice for anyone. From Huffy, We Make Fun. Tbook.com crawls the web to find the best prices and availability on products like DisneyPixar Cars 3 Lightning McQueen 6V Battery-Powered Ride On by Huffy. This product is one of the more popular items we list which is why it is in our "hot deals" section. If you have any questions on this product, please give us a call at 734-971-1210 during the hours of 9am - 5pm EST for assistance. Thank you for shopping at Tbook.com, the Internet Department Store!